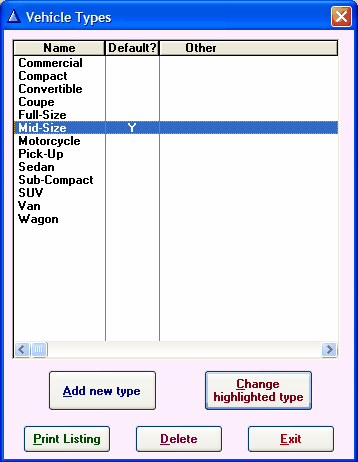 For Dealers in New York, there is additional functionality in the Vehicle Type screen to select a vehicle and change it’s “type” by clicking on the "Change Highlighted Type" button. 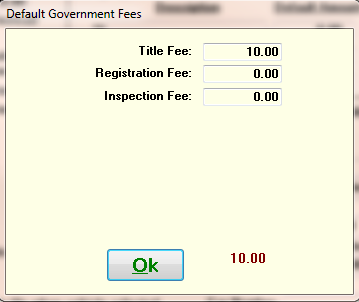 The following screen appears after clicking “Change Highlighted Type”. 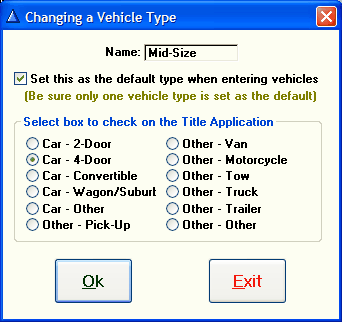 For this example, when the Vehicle is designated as Mid-Size in the Vehicle file, the ‘Car - 4-Door’ box will be checked on the Title Application.